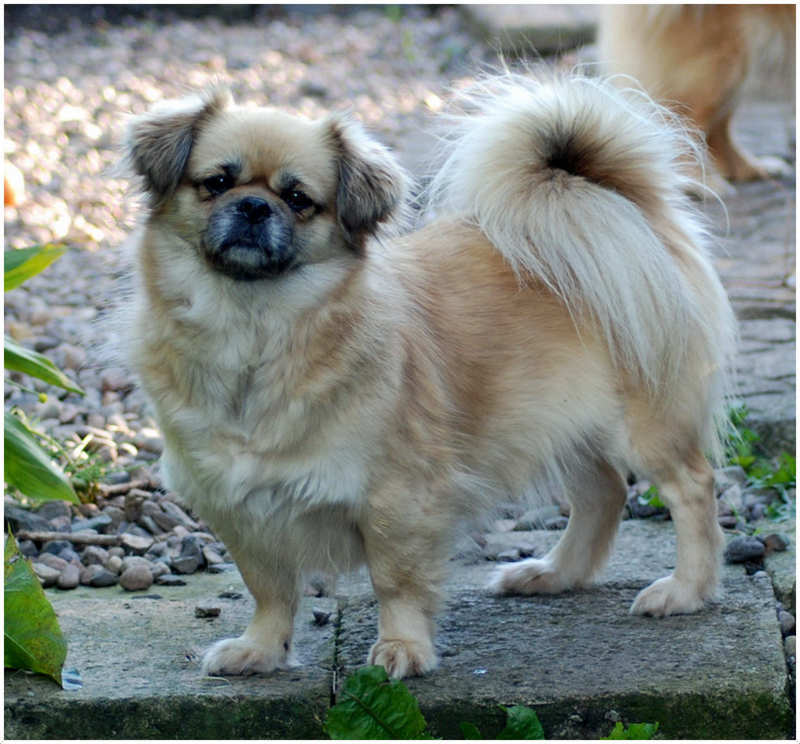 The Tibetan Spaniel dog is originated in the Tibet and is a small-sized dog breed. Almost 2000 years ago, it was found in the Tibetan Himalayan Mountains and now it has become a good companion dog. In the previous days, this dog is known to be ‘sleeve dogs’. The other names of this dog are Simkhyi (house/room/bedroom dog) and Tibbie. In the 1880s, this dog was brought to England. AKC recognized this dog breed in the year 1983 and Federation Cynologique Internationale (FCI) in the year 1987. The dog is friendly towards cats. It becomes friendly towards other dogs very soon. 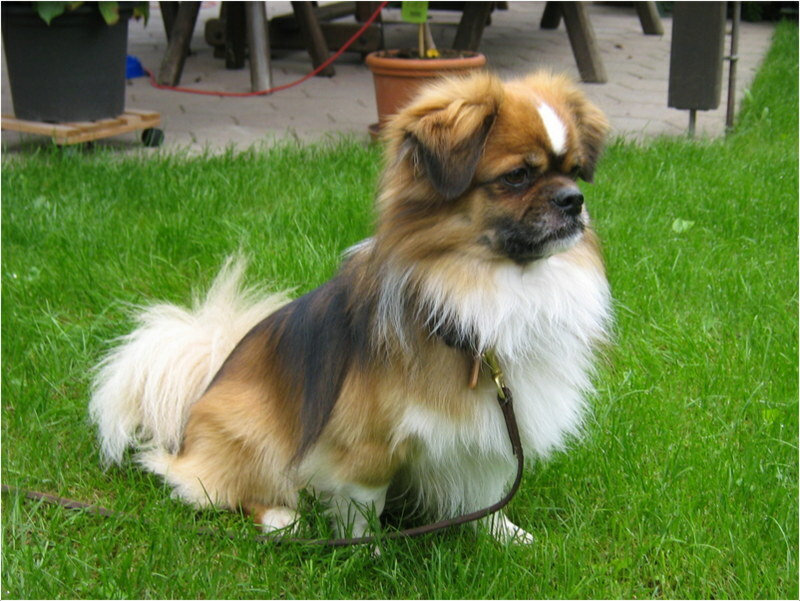 The Tibetan Spaniel is not hypoallergenic. It is not very difficult to train them, but Crate training is recommended for this dog in order to make it obey the owner’s rules. 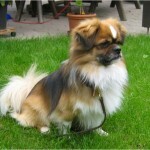 The price of the Tibetan Spaniel is about $700 to $900. The temperament of this breed is friendly, calm and active. It becomes friendly towards children and loves to play with them all the time. It is considered as a good watchdog as it barks heavily whenever sees an unknown person. 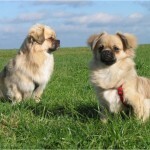 The Tibetan spaniel is small in size with the domed head and wrinkle-free muzzle. The v-shaped feathered ears hang fall down to cheek level and it has a black nose. 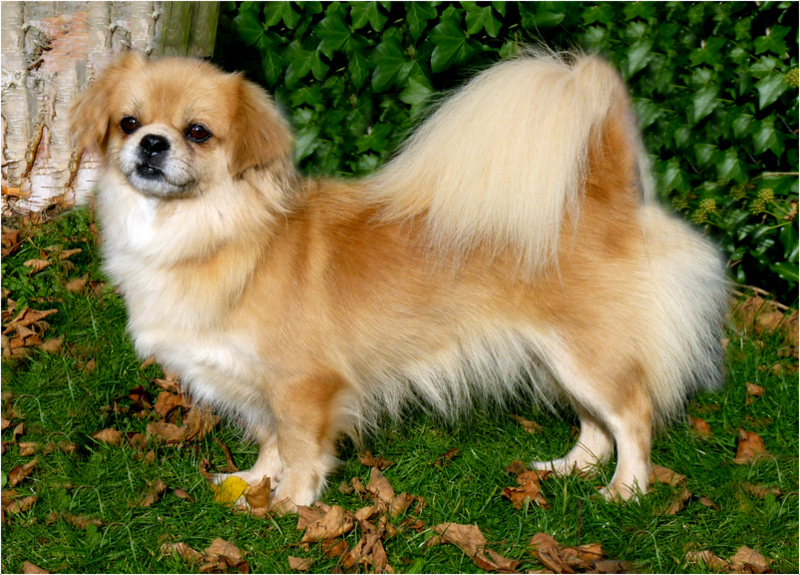 The tail of the dog is long and feathered; it is curved on its back. 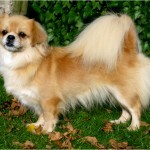 The flat silky double coat is moderate in length on the body with tail covered with long hair. 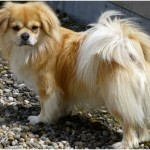 Generally, the Tibetan spaniel seen in any solid or combination of colors cream, fawn, black and tan, white etc. 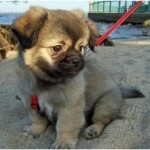 The height of the dog is about 10 inches (51 cm) and it weighs around 9 lb (4.1 kg) to 15 lb (6.8 kg). 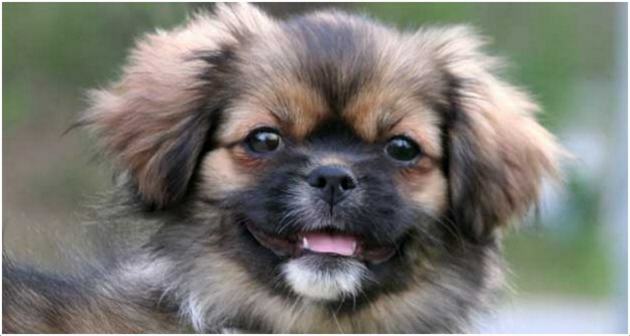 The Tibetan spaniel is lovely, charming and friendly. It resembles a good companion and watchdog. It is considered as the good pet for family, as it loves to play with children. The dog barks whenever it sees unknown persons and sometimes up on hearing unusual noises. 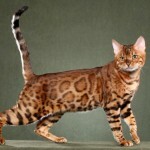 It soon become friends with other pets too and entertains the family all the time with its active and funny attitude. 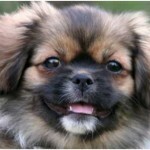 The Tibetan Spaniel is generally healthy but prone to few respiratory problems. There are few other common health disorders which are commonly seen in this dog like Porto systemic shunt, Progressive Retinal Atrophy (PRA), Patellar Luxation and sometimes heatstroke too. The dog is prone to few allergies and weeping eye. A proper care and medication is recommended in case of any health emergency or unusual symptoms. 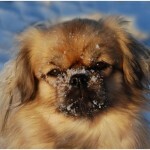 A good and healthy diet is advisable for the Tibetan Spaniel in order to maintain good health. Use clean drinking water and feed high-quality food regularly. Do not overfeed the dog and prepare a food schedule for healthy growth. 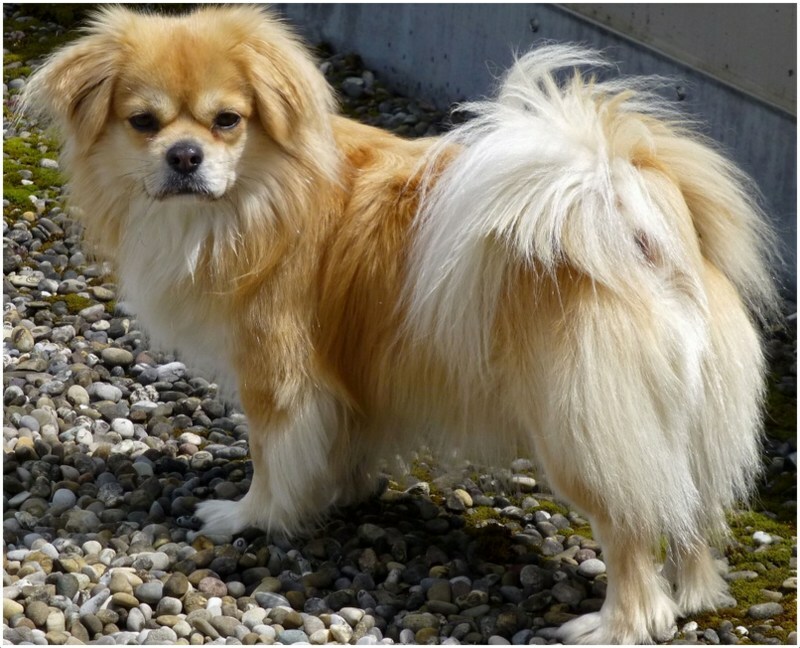 The Tibetan Spaniel will be good in the apartments and likes to play most of the times. 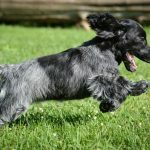 A house with yard will add some more potential for the dog as it gets a plenty of room to run and entertain the family. The children who are above 5 years are well suitable to play around this pet instead of small children. The dog is very active and friendly, likes to go for the long-walks along with the owner. Regular moderate exercise will make the dog fit and healthy. 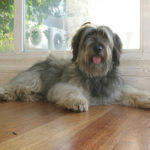 This dog quickly adapts the homely environment and likes to play with kids and other family members. 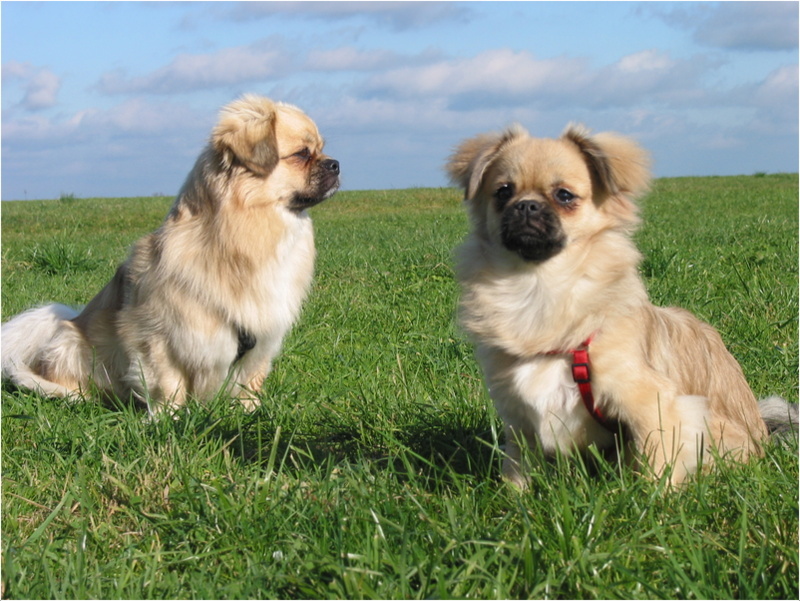 The Tibetan Spaniel can give birth to an average of 3 to 6 puppies. The small puppies should be raised with proper care and attention. Big animals may chase this dog due to its small size, so owner’s supervision is required whenever it is on for long walks. 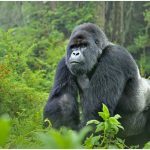 As this may bark loudly whenever it sees an intruder, it may grab attention of other big animals, so care should be taken and a small fenced yard is recommended. The Tibetan spaniel may come to heat once in a year and a professional breeding is recommended in order to get healthy puppies. 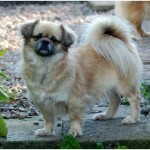 The average lifespan of the Tibetan spaniel is about 12 to 15 years and some may die early due to serious health issues. A proper care and regular supervision is required so that it can live longer than expected. It is advisable to brush and comb the dog daily/weekly to keep it fresh and clean. Occasional bathing is recommended for the dog. 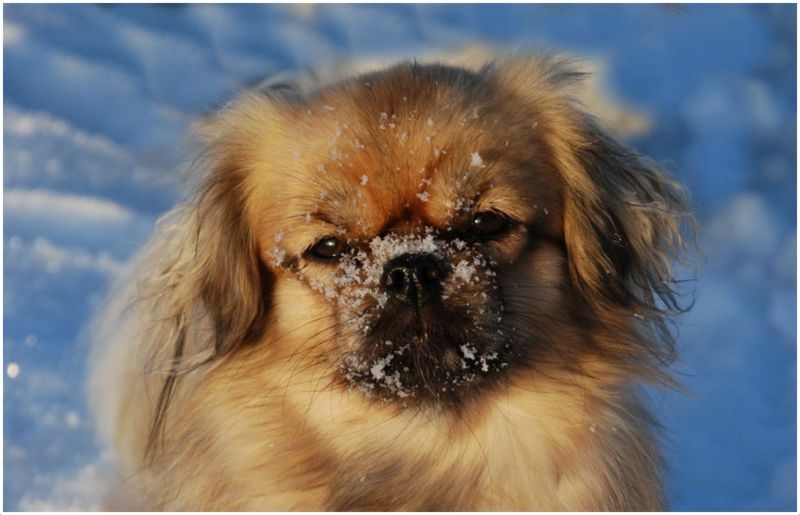 The Tibetan spaniel is said to be an average shedder as it sheds small amount of hair throughout the year. Regular grooming is required for the dog to keep it clean.